Dakar Rally started in 1979 in Europe until it reached South America in 2009. For the 40th Dakar Rally and 10th South American edition, the Red Bull team needed an experience for pilots and friends of Red Bull to relax and have fun. 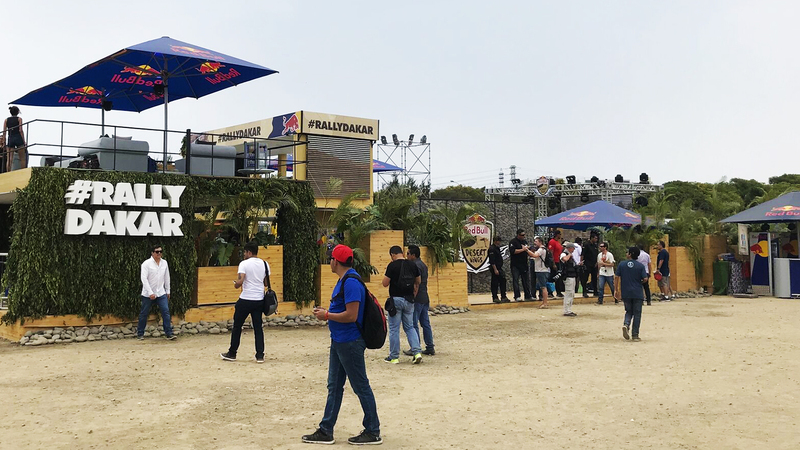 Today we launch the Red Bull Energy Station inside Dakar Village. Our intention is to create an experience that feels welcoming and comfortable to sit down and hang out. With over 6,000 square feet, our Red Bull Energy Station stands out. We incorporated grass and wood on the lounges, bars and stage to create the atmosphere. Pilots, friends of Red Bull and the press have their own private space, but also a common lounge where everyone can enjoy the event together.